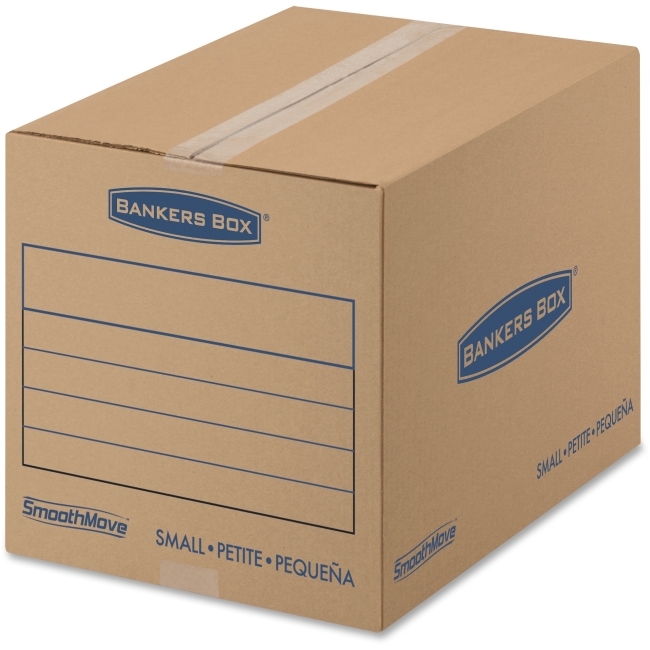 Standard moving boxes are designed to pack heavyweight items. Pre-printed lines on the exterior offer a place to itemize the contents. Tape is required for assembly. SmoothMove Small Moving Boxes are reusable for the next move and recyclable. Boxes are made of strong, 32 ECT C-Flute, corrugated material.